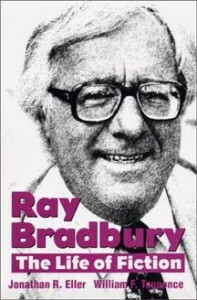 Ray Bradbury: The Life of Fiction is the first comprehensive textual, bibliographical, and cultural study of sixty years of Bradbury’s fiction. Drawing on correspondence with his publishers, agents, and friends, as well as archival manuscripts, The Life of Fiction examines the story of Bradbury’s authorship over more than a half-century, from his earliest writings, which include The Martian Chronicles, to his most recently published novel, Let’s All Kill Constance. It shows in detail the often devious and unsuspected interconnections between his unpublished fiction, his story collections, and his most celebrated novels.